This was such a well-written book! Sarah writes in an extremely talented way, which means that all her characters’ thoughts, descriptions, even pain… go right to the reader. I felt what the characters were feeling, and it really helped me connect to what they were going through. Speaking of which… I really liked the characters (Kade and Hadley)! A couple of months ago I read Disowned, the first book of Sarah’s other popular series (Allegiance), and I have to say I didn’t really like the main character. However, that didn’t happen at all in Retrieve. I love Kade and Hadley both so much as characters- I found myself similar to Hadley in her stubbornness and also to Kade in his frequent annoyance with people. ;P I loved seeing how they grew as individuals as well as how they grew together. ‘Twas super sweet. 😀 I do wish that the book could’ve included more of Thomas, though. The story itself was really engaging and absorbing- I finished the entire book in one sitting, which should tell you a lot. The plot wasn’t very… detailed? it was very simple plot, needless to say. But it certainly wasn’t boring at all. 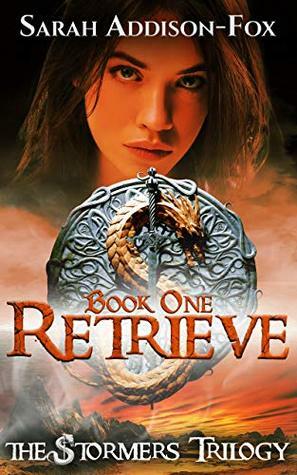 Ms. Addison-Fox creates such an enthralling and beautiful story in Retrieve. She writes such amazing characters and weaves a simple but captivating plot, and I enjoyed it so much! Definitely worthy of a read, and I can’t wait for Retreat to come out! 4 stars. FTC DISCLOSURE: I received a complimentary copy of this book from the author in exchange for an honest review as part of this blog tour. All thoughts are my own and a positive review was not required. You can get the paperback right now for the low price of $9. 🙂 It’s also available in Kindle. Take a moment to learn about the author (plus, wait around til the end for the giveaway)! Go visit her on social media! Instagram, Facebook, Twitter (@saddisonfox), Website, Facebook Fanpage, Blog. Visit Victoria’s blog (the host of this blog tour) to visit the rest of the participating blogs! And… that’s it! Thanks to Victoria Lynn for hosting the blog tour and Sarah Addison-Fox for providing and writing the lovely book. 😀 I hope I’ll see you on Saturday with my next post! Have you ever read any of Sarah Addison-Fox’s books? What’d you think? This book sounds amazing! Wonderful review. 🙂 Now I really want to read it.